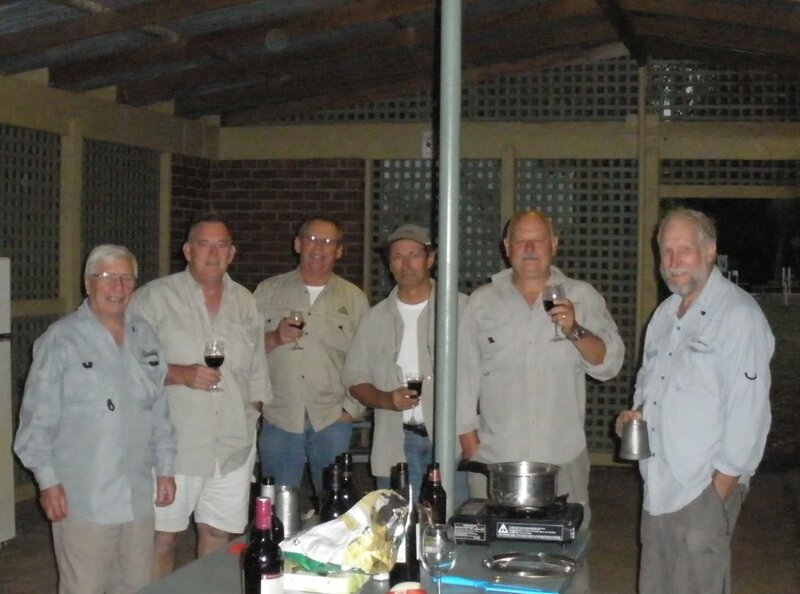 Just back from a Club Trip and one question asked was – “How come we don’t get more members to Club outings?” Your committee is trying to meet all of your needs in fly fishing if it is possible. So Ian will be ……. The weather was great as five intrepid MPFF’rs headed up to the Eildon Pondage all arriving about midday on Friday 14th. There was much cursing as our group of campers tried to drive pegs into soil the consistency of dried concrete. After setting up camp everyone headed off in all directions to find some fishy water. What a”bummer” – the pondage at its peak and the Goulburn running a banker – never been seen that high before, by any of the team! We made a few attempts to fish the pondage and then retired to camp to formulate a battle plan for Saturday accompanied by a cold beverage. 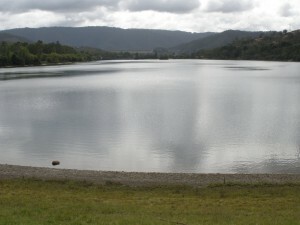 Eildon pondage close to full. March 2014. Saturday dawned another beautiful day and it was off to Big River. Sam, Terry, Frank and Pete were first to arrive – Steve and Russ “tail end charlies” so they moved on down river and the battle began. Terry caught 3 on the Taponga, Steve caught 3 on Big River whilst Russ caught one and dropped one – all before lunch. After lunch not a fish was sighted anywhere! 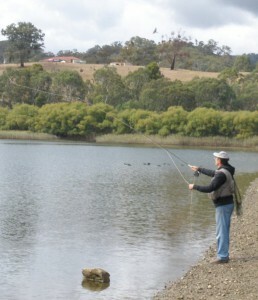 Peter casting at Eildon Pondage. Saturday night “huey” turned on a thunder and lightning show to be believed and to finish it off torrents of rain and a huge water run-off through the campsite. 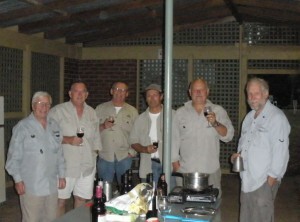 As luck would have it our small group had gathered in the camp kitchen undercover with ample provisions to wait out the flood. Sunday saw most rivers on the rise and dirty water was abundant. Steve and Russ fished the Steavenson after looking at a number of spots on the return homeâ€”but in the end coffee and a pie at Marysville seemed the best option.